This is just a quick reminder to those of you who are not aware. 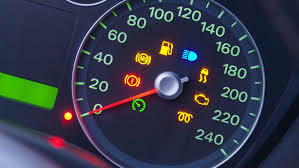 If your car is displaying a warning light on the dashboard at the time of your MOT test it will Fail its MOT Test! Don’t leave it until your MOT is due! Warning lights show on your cars dashboard for exactly that reason. They are a warning that there is something wrong with your vehicle and its needs attention from a qualified mechanic. All too frequently we have cars that fail their MOT, due to having a warning light on their dash, the MOT requirements changed back in May 2018! Please don’t continue driving your vehicle until the time of your MOT Test if it has a warning light. The light is displayed to notify you it needs attention urgently, not in several months time. Not only could your vehicle be unsafe to drive, which could in turn cause an accident. It could also cause additional damage to your vehicle and make the repair a whole lot more costly, than if you had addressed the matter as soon as it showed on your dash. As a vehicle repairer we can only advise and remind our customers, of the importance to deal with warning lights at the time they display. But remember it is your responsibility as a driver, to ensure your vehicle is in a road worthy condition, each and every time you get in it to drive, if you continue driving without addressing this your not fulfilling these obligations.